I’d like to expand the conversation a bit beyond just increased giving. Let’s dream about how you can begin to build a generous culture that has both increased short-term giving results along with creating a more permanent foundation for long lasting fruit. 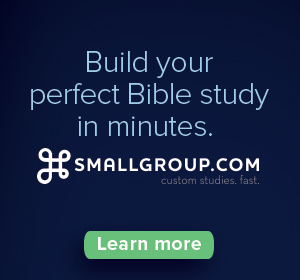 Create a broader strategy that moves beyond a one-time offering to a full-blown vision casting and discipleship strategy. Here is a list and brief explanation of 10 ideas you can engage in to grow a long-term generous culture at your church, while increasing year-end giving. Churches rarely take the time to celebrate and reflect on God’s goodness. Still, even fewer have a clearly articulated vision that can easily be seen connecting each weekend service, event, and program. By November the pastor is probably speaking to a number of families who don’t know the vision clearly, have no depth of appreciation for the church story, and have yet to fully connect the purposes and dramatic impact the church has beyond their personal lives. Be a visionary, show them all God has done both in and through them. Throw a party and celebrate! Churches are often great at asking, but not so great at thanking. If you have completed a successful year of ministry impact it is because people have prayed, volunteered, attended, invited, served, and given generously. Be extremely thankful. Consistently thanking builds a better culture then just asking or sharing needs. Giving can be very private, but that doesn’t mean we need not express thanks to those who make such a difference. You might consider highlighting a few ministries that received a specific or purposeful investment during the year. Be personal. Nothing is as powerful as the story of a life that was changed. Also, take the time to tell a story about how wisely money is handled behind the scenes. People sometimes distrust how non-profits and churches handle money. 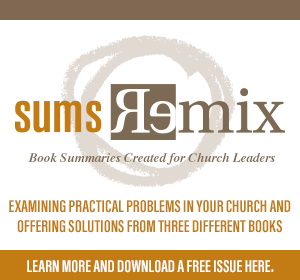 Help people have confidence in your church’s high standard of accountability and practices. People remember stories better than figures. Leaders advance the vision further and faster than anyone else. You will never go wrong by strategically investing in your volunteers and leaders. Generosity studies show that those who attend church more often, give more frequently, and giver larger gifts. If you do not have a high performing leadership pipeline you are under-achieving. Gather all your volunteers and leaders together. Show them the results of their faithfulness and give them a glimpse of the future. It isn’t enough to just say it once. If you limit your generosity opportunity to a pre-service announcement slide or a brief mention in the worship guide, you’ll receive the expected result. People rarely remember something they see or hear only once. You need to align your communication vehicles to repeat, repeat, repeat. Each staff member should know how to share the church’s vision in email, printed pieces, and various leadership settings. The website, e-newsletter, blog, and social media are a must. An established theme and visual brand will also help people identify and remember the message better. People give for many motivational reasons. Because people come at generosity from different vantage points, it’s important to be specific. If you do not ask, you do not receive. Be specific and clear. Speak the language of the giver and don’t forget the kids. Children love to be generous. Make sure they have an opportunity as well. This will encourage their parents. Tipping non-profits is pretty easy these days. The opportunity to give is everywhere. However, the believer needs to be challenged beyond the tip and past the tithe to a life of extravagant generosity. The generous life requires sensitivity, readiness, and availability. These three elements come in part from the discipline of prayer. Establish a season of prayer that calls people to be transformed from the inside out. Your ultimate goal is not a big offering at the end of the year, but long-term generous disciples. 9. Teach about the rewards. Too often giving is seen as a hard habit to create or a discipline to be endured. What if giving is actually the path to a preferred life? We tend to believe generous people are trusting, faithful, positive, sensitive, encouraging, supportive, available, responsive, altruistic, and just really good people. Doesn’t this list provide a strong beginning to a great disposition? There are so many rewards to giving. It’s helpful for those who receive, but even better for those who give. God promises to provide for and protect the generous. He even promises to multiply their results. Living a big life that is crazy rewarding is definitely possible, but only through the lifestyle of generosity. How many people sitting in your worship service have a checkbook or cash in their wallet? If you don’t have a plan that supports digital giving, you are severely limiting the potential for giving. People give more when it is convenient. This means you need to go digital. Branch out into online, app, and text giving if you haven’t already. People need to know it’s easier to give now more than ever. You may not be able to integrate all these ideas. However, every church can do some of them. Bring your staff together for a collaborative experience. Use this time to appreciate them, reward them, and allow them to dream. By engaging them in the process you’ll be growing a more stewardship savvy team. Chasing money is fun for no one, but chasing disciples together can be fun for all. >> Read more from Todd.